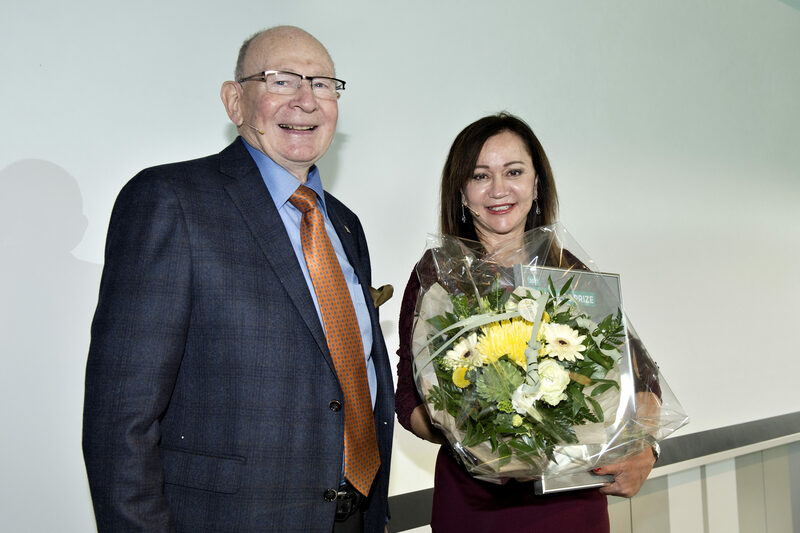 Jens Bager, Chairman of the Board in Poul Due Jensen Foundation and Chairman of the Grundfos Prize committee, handed over the Grundfos Prize 2018 to Jacob Sherson at the award ceremony in Bjerringbro on Thursday 4 October. Jacob Sherson is the key developer and research manager in the ScienceAtHome research group, which includes the game “Quantum Moves”, which has been played by more than 250,000 people from around the world. With the help of this game, it was possible to show that the human intuition could be superior to the computing power. The research group’s article in the reputed journal Nature went around the world with media reviews on all continents. “Jacob Sherson gets the Grundfos prize because he uniquely manages to move the limits of experimental quantum mechanics while at the same time incorporating the human intuition in science research. This way, he also helps to break down the walls between researchers and communities and invites us “common people” inside, “says Jens Bager. The Grundfos Prize consists of the Be-Think-Innovate statue and 1 million Danish kroner, of which 250,000 is a personal gift and the remaining 750,000 DKK can be freely used for further research within the research area of ​​the prize winner. 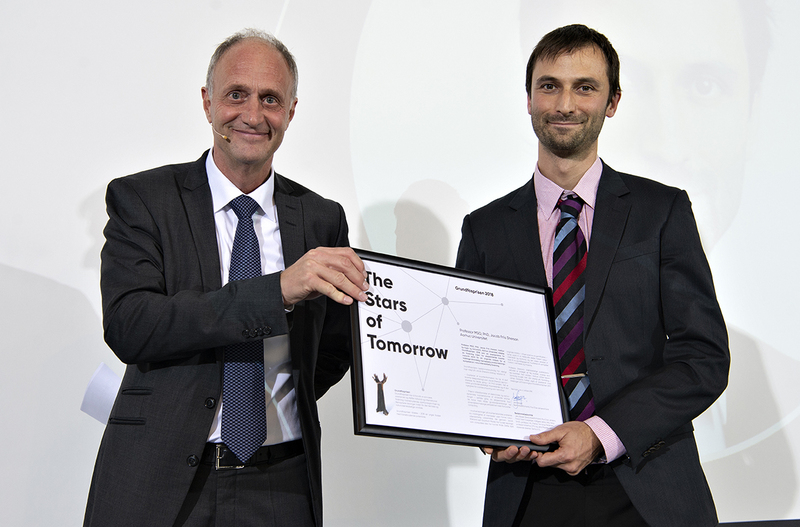 In 2017 the Foundation decided that the Grundfos Prize should focus on younger researchers under the theme “The Stars of Tomorrow”. Jacob Sherson therefore becomes the first of several promising young stars in science and technology research, which receives the Grundfos Prize. The Grundfos Prize was established by Poul Due Jensen Foundation in 2001. The purpose of the Grundfos Prize is to promote, acknowledge and support national and international research in ground-breaking and visionary solutions within engineering and science. 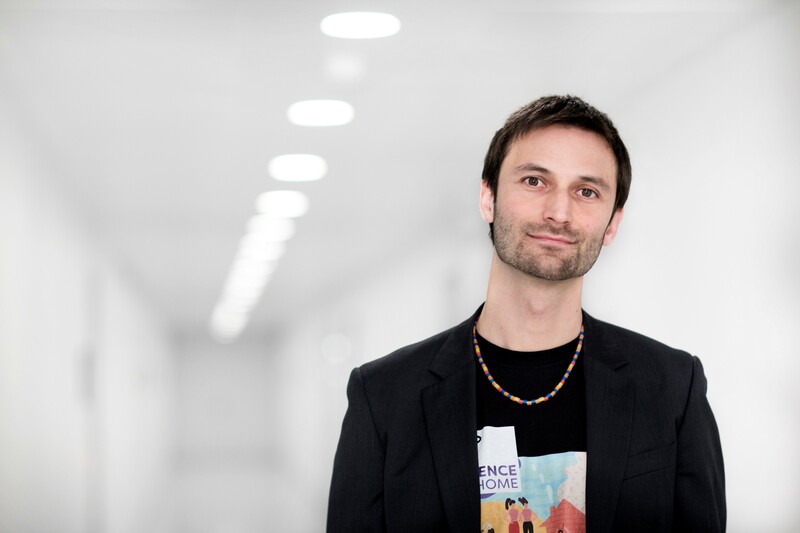 Jacob Sherson is Professor MSO, at the Department of Physics and Astronomy, Aarhus University.